In composite canoes, various woven fabrics are hand-shaped in a mold and bonded together with resins. Any combination of fibers and resin is a composite, but there are a wide variety of materials and methods. All Wenonah Canoes are manufactured using a vacuum bagging process to ensure the ideal resin-to-fabric ratio. Many hours of skilled labor are required to make a great composite canoe. By utilizing the finest materials and manufacturing methods we’re able to deliver the legendary performance, toughness and lightweight convenience that have become the hallmark of the brand. Wenonah’s Ultra-light hulls are stiff and incredibly light. They are ideal for efficient distance paddling and for all people or conditions that demand the lightest gear. Our construction features a structural core and ribs laminated into the hull and sides. Extra fabric layers are then added to strengthen specific targeted areas. Aluminum plates are strategically laminated into the hull, onto which seats, foot braces and all hardware are then riveted. This gives a highly secure connection and eliminates rivet heads on the exterior. Kevlar, the fiber used for aerospace, body armor and bulletproof vests, is amazingly light and strong. We’ve used it for more than 30 years to construct many of the lightest and toughest canoes on the planet. 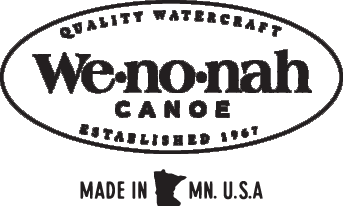 Wenonah Canoe is the world’s largest maker of Kevlar canoes. AI Ultralight canoes are made from polyaramid, Innegra™ and Kevlar®. The outer laminate layer is a crowfoot co-weave of polyaramid and Innegra. Innegra is high-tech polypropylene fiber offering high flexibility that translates to enhanced impact resistance, especially against punctures. We back this stylish fabric our all time favorite material, Kevlar and utilize Wenonah foam core technology for even more stiffness and floatation. Wenonah AI canoes are outfitted with curved web seats mounted on integrated wood mounts and a scratch concealing white gel coated belly. A Graphite Ultra-light canoe is made the same way as a Kevlar Ultra-light, but with Graphite as the outer layer. It’s ideal for paddlers desiring more stiffness in their composite canoe. The crisp look and aesthetic appeal of a black Graphite canoe on the water is also undeniable. *Graphite Ultra-light solo canoes come standard without end tanks. Flex-core construction creates a more rugged canoe than our Ultra-lights and is meant for general paddling on all but extreme waters. In these canoes, a structural core is laminated into the hull, with the composite fibers carefully oriented to distribute loads. The entire hull receives an extra fabric layer, which makes for a stronger, more ridged canoe. Side ribs are not needed because this layup distributes more material throughout the hull. The result is a tough canoe that is still fairly lightweight. Using Kevlar in our Flex-core layup vs. our Ultra-light layup adds a little weight, but saves you some money. The extra layers of fabric and gel-coat finish also make these boats more resistant to damage than our Kevlar® Ultra-Light canoes. Wenonah’s Tuf-weave material is an interwoven fabric made of 50% polyester and 50% fiberglass that outperforms either material on its own. The Tuf-weave layup results in our most durable composite canoes. 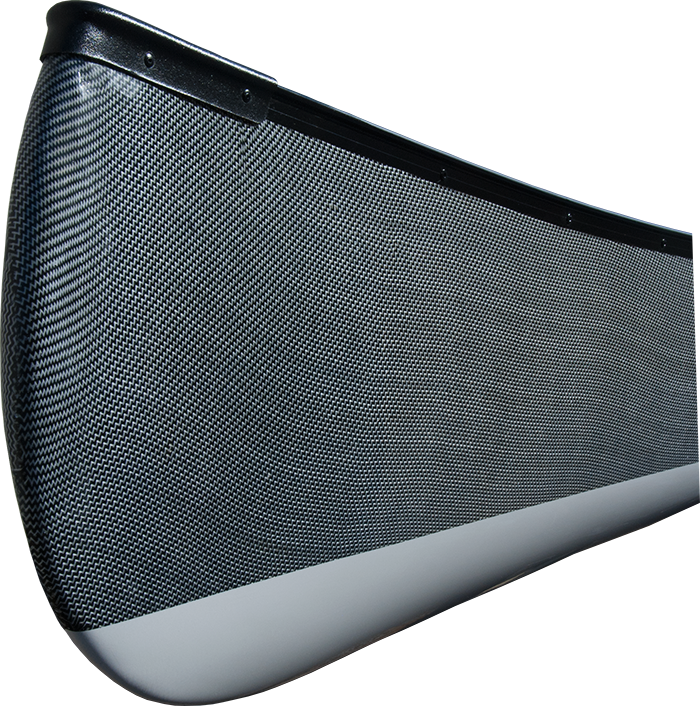 Tuf-weave canoes offer improved impact resistance and are a great compromise between weight, performance and price. Our revamped interior finishing process makes for even more weight savings over previous years' models.